Your siding makes up most of your home’s exterior, which is why it’s important to choose one that will greatly enhance curb appeal. Aside from beauty, it’s also essential to choose a siding that will help increase your home’s comfort levels while providing lasting protection from the elements. This brand is committed to sustainability. Their vinyl siding, for example, meets Green Building Standards. Unlike stucco and brick, the manufacture of this product requires minimal energy and resources, lessening waste materials that go to landfills. In fact, their CedarBoards D6 only have a minimum of 60% post-consumer and post-industrial recycled materials. 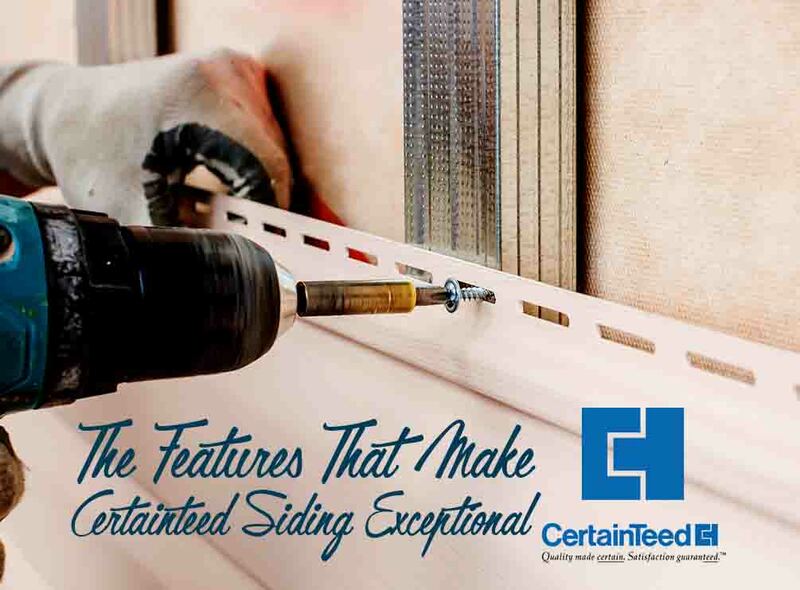 CertainTeed siding comes in an array of colors that will surely match your home’s exterior. Furthermore, we also have siding options that offer the natural look of wood grain and are available in shake- and shingle-style options. Count on us to help you choose the best one to complement your home’s theme. CertainTeed polymer siding and vinyl siding don’t require much upkeep to preserve their quality. You don’t need to paint or caulk them, and you only need mild soap and water to keep them clean. Complement this with well-maintained gutters in Manassas, VA, and you can expect this siding to look great for years. The brand’s insulated siding offers energy-saving benefits similar to rigid foam insulation. This will help make your home more livable, lessening your reliance on your HVAC units that can drive up your energy costs. Expect Peak Roofing Contractors, your reliable handyman in Manassas, VA, to provide you with efficient and reliable siding solutions. Call us today at (703) 745-5153 for your siding needs.